Although there is no isolated syndrome or illness specifically caused by a lack of dietary fiber, it has been proven by several medical studies that a regularly low intake leads to an increased risk of developing several life-threatening diseases, such as cardiovascular disease, pluri-metabolic syndrome (also known as Syndrome X), colorectal and esophageal cancer, obesity, atherosclerosis, coronary heart disease and others. A number of other less severe conditions is correlated with a low fiber intake, including elevated cholesterol levels, hemorrhoids, constipation, diarrhea and flatulence. Although it may seem contradictive, exaggerated amounts of dietary fiber have also been shown to cause several side effects, that should be taken into account especially by those patients taking drugs regularly, since large amounts of dietary fiber may interfere with the absorption of the drug. 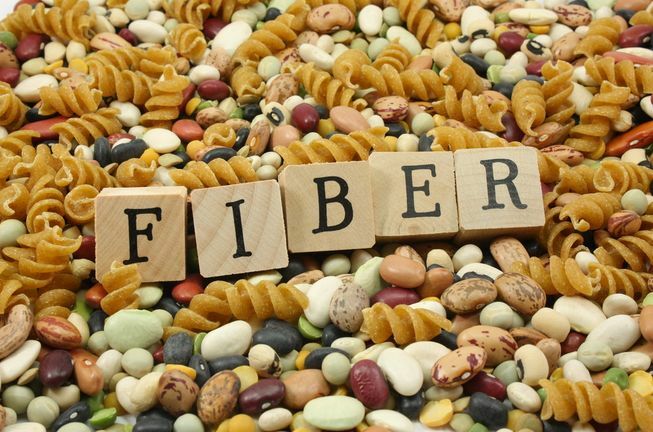 Persons eating more than 50g of fiber per day may experience an intestinal obstruction, but in the majority of the individuals their physiologic health of their bowel is greatly improved despite the minor side-effect. Excessive dietary fiber may interfere with the retention of water, causing a fluid imbalance: for this very reason it is often suggested that you raise your fluid intake in conjunction with additional fiber (with plain water being the best alternative). Large amounts of fiber, especially of the non-fermentable kind taken as a supplement, may interfere with the absorption of minerals, and possibly cause a mineral deficiency in the long run, or during periods of increased need such as lactation, pregnancy or adolescence: a good multivitamin and multimineral supplement will usually settle this problem for good. Some pharmaceutical drugs also seem to be affected in their efficacy by large amounts of dietary fiber, so you should check their labels for possible complications and cross-reactions. Thank you for this information. I was not aware of this fact.